The St George in Ilfracombe has a beer garden. The pub has an outside area, it serves real ale. The St George has a smoking area. The pub has free WiFi, it has a dart board. The St George has a pool table. The pub has a big screen, it has BT Sport. The St George shows cricket on TV. The pub shows football on TV, it has the Racing Channel. The St George shows rugby on TV. The pub has Sky Sports, it has terrestrial TV. 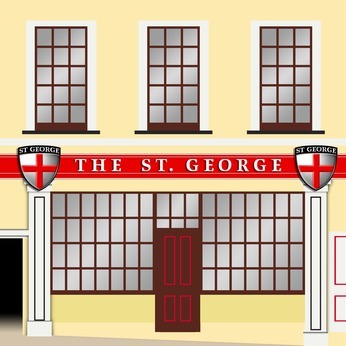 The St George is a member of the BII.